I'm going to blow Jay's cover. And it's changed my life. More precisely, I should say — it's saved my life. 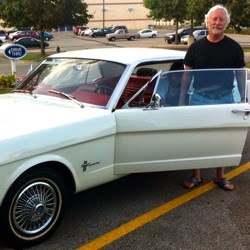 My doctor told me 5 years ago I had Parkinson's Disease; he said I had, maybe, 3 more years of mobility and good quality of life. I shared this alarming prognosis with Jay. And, true to Jay's selfless and enthusiastic character, he took a deep dive into his Paleo nutritional knowledge-base and through the years gifted me with a regular stream of emails germane to fighting Parkinson's with Paleo-based nutritional science. Thanks to Jay's Paleo-centric nutritional advice, I walk, hop, skip, run, jump, and play as well as I did 5 years ago — effectively slowing down the progression of PD symptoms! Paleo Jay — as important a member of my PD healthcare team as my Neurologist and PD-specific exercise program. Congratulations on your USPS retirement, Jay! The content you delivered via the USPS and content you continue to deliver through your Paleo Jay blog, amazing smoothie recipes, and podcasts makes a palpable difference in people's lives. You may be retiring from the USPS — but I know you'll never retire from delivering the many gifts of your character and talents to others. That, at least, is fortuitous, since they are definitely the yin and the yang to each other- one has the ability to minimize the other- Paleo versus Parkinson’s! From the results my friend has had, due chiefly to her hard work and perseverance to the Paleo lifestyle of ancestral diet of God made food and real, Perfectly Paleo Exercise (including a rebounder! ), she has preserved her health and life beyond the expectations of any medical doctors she consulted! When we “go Paleo”, some think it’s just about vanity- to be a size 4, or to be really strong and ripped- but trust me: I’m 62, my friend is younger, but the older (and wiser!) you get- it’s all about health! Because then you will be one of those who later in life: “spend their wealth to try to regain their health”. Follow the example of my friend, and eat and live for health. 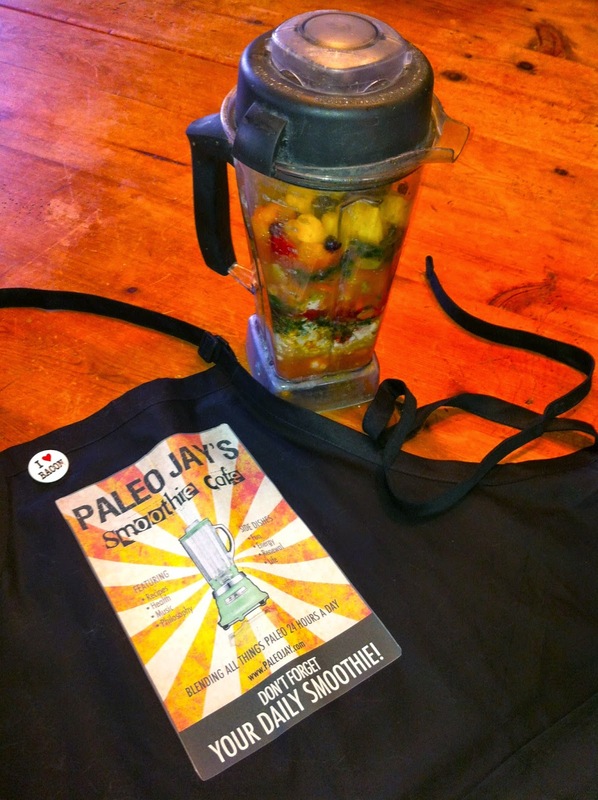 She, along with another great friend of mine, designed my very logo, the inimitable PALEOJAY’S SMOOTHIE CAFE!